Michaelene Gula is Executive Director of the Buhl Regional Health Foundation. Ms. Gula provides organizational skills and leadership for the Foundation’s start-up process and promotes partnerships, programs, and grants that advance the Buhl mission to improve the health and wellbeing of residents and communities served by Sharon Regional Health System. 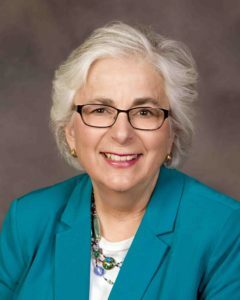 Previously with Sharon Regional for 38 years, Ms. Gula served in numerous capacities including Director of the Women’s Center, Director of Acute Care and Manager of the Breast Care Center. Ms. Gula’s duties and accomplishments included: Obtaining grants to fund an integrative breast cancer program for patients receiving treatment, managing five offsite facilities known as HealthPlace; developing the Minority Health Advocacy Committee; and was responsible for providing community health education and screenings. 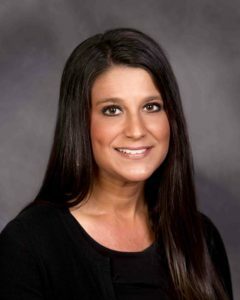 Ms. Gula was a member of the Mercer County Community Health Partnership, founding member of Mercer County Safe Kids, served on the board of directors of the American Cancer Society, The Greenville Public Library, and the Mercer County SANE committee to assist victims of sexual assault. She participated in three community health needs assessments conducted by Sharon Regional. Ms. Gula currently is a member of the United Way of Mercer County’s committee on Lifting Families out of Poverty and the PA Health Funders Collaborative. While on active duty with the U.S. Army Nurse Corp, Ms. Gula was a Lieutenant with a focus on military dependents/obstetrics and newborn care. Ms. Gula earned a BS in Nursing from Duquesne University and a Nursing Diploma from the Sharon General Hospital School of Nursing. Kimberly recently has taken on the position of Grants & Projects Manager for Buhl Regional Health Foundation. 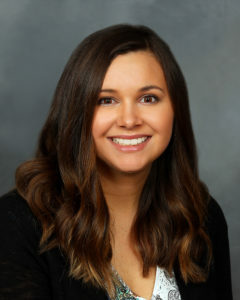 Ms. Duncan recently researched, designed, developed and implemented the Online Grant Application Process and Procedures for Buhl Regional Health Foundation. She will now manage the workflow and efficiency of the Foundation’s Grant Management Program. Ms. Duncan will maintain and make any programming changes as needed. She will coordinate routine correspondence with grantees, applicants, Foundation’s Grants Committee Members, Executive Director and Board Members. Kimberly will work closely with Grants Committee to evaluate applications, monitor disbursements and progress towards goals and grant outcomes. A lifelong resident of the Shenango Valley, Kimberly served as the Network Administrator/Data Processing Manager for Jazwinski Financial Services, Inc. where she was responsible for the daily operations of the network system, all software and hardware troubleshooting, installations and upgrades for some off-site client systems. Kimberly was a Financial Coordinator for the Community Foundation of Western PA and Eastern OH and handled a variety of responsibilities dealing with donations, grants, campaigns and some fundraising activities. Most recently, Kimberly joined the Buhl Regional Health Foundation and Christian H. Buhl Legacy Trust to serve the role as Administrative Assistant in which she worked under the direct supervision of the Executive Director and Chief Financial Officer. Kimberly had various responsibilities that provided general administrative support along with duties such as maintaining financial records, accounts payable and receivables. She also managed monthly payroll, coordinated meetings and conferences and most recently worked on special projects including the development of the Buhl Regional Health Foundation Grant Application Process. Kimberly also assisted the Chief Financial Officer with general accounting and other financial duties as needed. Ms. Duncan earned a BS Degree in Business Administration with a major in Computer Information Systems from Robert Morris University. Ms. Duncan lives in Hermitage with her husband and five children. Donna recently joined the Buhl Regional Health Foundation in May 2017 to serve the role of Administrative Assistant. She is responsible for secretarial duties and tasks, business and accounts management, and office communications. Other special projects include writing and editing Foundation newsletters, managing website and social media accounts, organizational charting, and meeting and event planning. Donna brings marketing, public relations, customer service, performance optimization, and project management experience and expertise to the Foundation’s work and efforts for community wellbeing. Prior to beginning her role at Buhl Regional Health Foundation, Donna served as a Volunteer Services Specialist with the American Red Cross where she was responsible for recruitment and engagement of volunteers for six counties in Western PA, Volunteer Coordinator at Sharon Regional Health and worked in various roles at Primary Health Network including Marketing, Customer Service and Training. Ms. Smith earned a BS Degree in Business with a focus on Business Management and Marketing from Pennsylvania State University. Ms. Smith lives in Sharpsville with her husband and two children.